Two girls, best friends, eccentric and most importantly writers with one shared dream, to set the world on fire with our words! We are driven to create that ‘unputdownable’ book. We want your heart to race with each sentence, for you to stay up all night, miss your bus stop and lose track of time, all so you can just keep reading, to turn that ‘one more page’. You’ll rush to reach the end and then hate when it’s all over. We love the highs and lows that come with a really good tale and that’s what we want to give to you. We know what we would like to read, so that’s what we write and we know there are so many fan girls, just like us, out there that want to be caught up in these adventures too! Latimer and Ridley have been writing together for almost ten years. While writing has not yet become a full time occupation for either of us, we hope that one day it will be! In the beginning, we tried to get published, of course we did. Like so many others, we were just posted back rejection slips. So we decided to withdraw, tend to our wounds and hone our skills, instead of wasting money on endless submissions. Now, we’re poking a foot out the door and peeking out again! We read, we obsess and we write, constantly. We’ve learned to give each other our honest and unfaltering opinions when it comes to our work, which has only ensured our writing has gone from strength to strength! Even now glancing back over our earlier work, the difference is astounding and cringe-worthy. We know, however, that we will never stop learning and improving. We’re always looking for feedback on our work to ensure that it can be the best read it can be. Obsession-worthy characters and stories written well, that’s the aim! Scientist by day, crime fighting space-frog girl by night! I am Latimer, part one of our writing duo. I adore a good story in any medium; books, life (! ), TV, movies, manga, anime, Japanese/Korean/Taiwanese doramas, comics and video games. I dreamed I’d be many different things when I grew up (still not there yet!). I often think that across the hypothetical multiverse, parallel mes are living those possibilities and thinking about me; Latimer the computer games designer, the archaeologist (I wanted to be Lara Croft), the vet and the cartoonist – they all wonder about Latimer the scientist! Ridley and I are fan-girls above all else. As she mentions below, we both search for the ‘squee moments’ that every fan-girl does! The romances that make you think ‘ohhh, beautiful’. I think Young Adult is king of romance (full of touching moments and great characters 🙂 ). I love Kelley Armstrong’s YA series, The Darkest Powers; Juliet Marillier’s YA Wildwood Dancing series and Tamora Pierce The Immortals. Jane Austen’s Pride and Prejudice is probably the Mother of all- the bad start is key to a good romance! Harry Potter is part of the foundations of my mind now; as is Lord of the Rings (one of the saddest most beautiful stories of love and friendship). When I’m feeling in need of a laugh though, I’ll turn to Terry Pratchett, Master of fantasy satire. And finally, I love music 🙂 My iPod is like mini Latimer (a part of me!)! I love listening to indie stuff; e.g. James Vincent McMorrow, Mumford and Sons, Benjamin Francis Leftwich, Beirut, Emeli Sande, Beach House and Florence and the Machine.. list goes ever on and on 🙂 I also LOVE podcasts, currently of the SModCo variety. Ridley is my half of our pen name, it’s been a nickname for years now too. I’m from a smallish town on the not so sunny South-East of modern Ireland, where all leprechauns are now extinct and fairies drive around in BMWs. I love tea and drink bucketfuls daily! I’m a massive fan of Aardman, their jokes tickle me pink-ish. 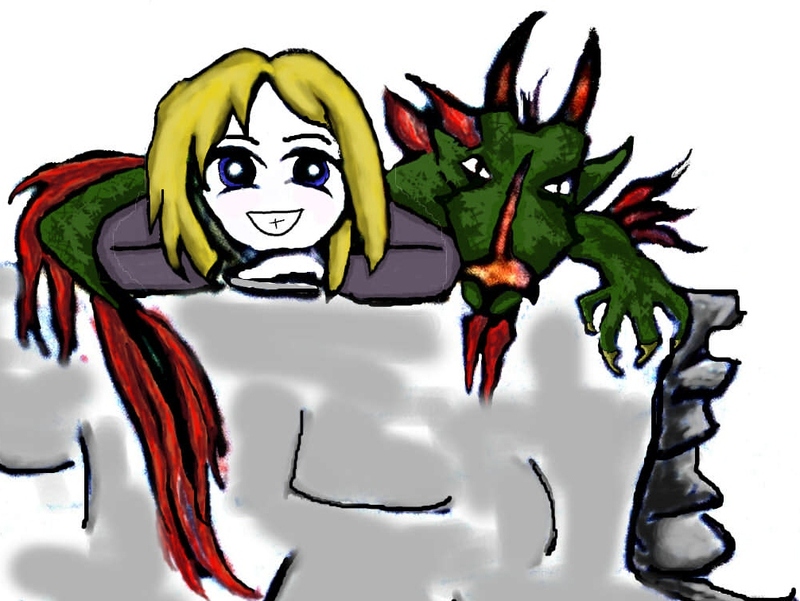 In my free time, apart from writing, I also sketch, paint and sculpt. I live for ‘squee’ moments. Sounds dorty, but its not…unless…no, its not! These are moments where you’re so happy, excited and in the throes of delighted disbelief that every language on earth fails you and you are only left with a type of shriek. This sound is a squee! It is universal and every girl can instinctively reach the same teeth-aching pitch. Some of my favourite authors include Jane Austen (P&P and Persuasion especially), Tamora Pierce, J.K Rowling, Stephanie Meyer, Juliet Marillier, Kristen Britain, J.R Tolkien, Cassandra Clare, Trudi Canavan, Kelley Armstrong, Terry Pratchett….to name a few! Into the wee hours (where it’s not night but not yet morning) is my perfect time for writing. All is quiet, the world around you is asleep but the one you’re creating is awake and full of life. That’s me. I think I’ve given you all enough fodder for one night, if you’re currently questioning my sanity, my job is done here! It comes from the tale of the Oxford Martyrs. Oxford is one of our favourite places in the world. It is only right that our pen name originates from a tale told there. Click into Wikipedia for the full story. Briefly, three men, Hugh Latimer, Nicholas Ridley and Thomas Cranmer were tried for heresy during the reign of Queen Mary. 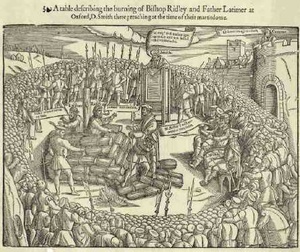 Latimer and Ridley were burned at the stake together on the 16th of October 1555. The location is marked by a cobble stone cross in Broad Street, Oxford. Their influence and names have certainly lived on. They’ve inspired many people, not just us! One day we hope to do the same-though in a different way! What the ‘M’ stands for, we’ll let you guess…. 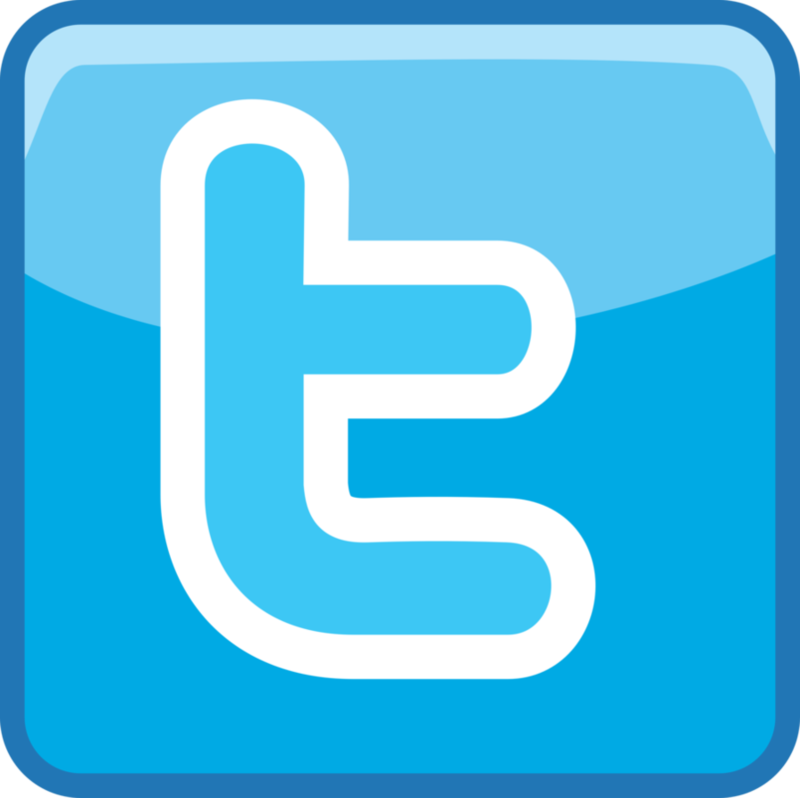 Or you can follow us tweeting on Twitter; facing-off on Facebook, tumbling on Tumblr and Instant photo-posting on Instagram! Or you can visit us reading on Goodreads or drawing on deviantart! Thanks a million! 🙂 Tea is the cure to everything really! Looking forward to hearing more from you, you’re so lucky to live in Norway. It’s such a fantastic country, it’s on the ‘countries to visit’ list! Thanks for dropping by my blog. From the sound of it, we could be best friends 😀 Love most of the authors you’ve mentioned and whilst I’m mostly focused on books, I do also love good manga / anime / K-dramas. I have to say though that after all these years, Sailor Moon is the one for me still. I can’t really remember the last K-drama I saw. I guess nothing beats the Firs K-drama (Hotelier with Bae Yong Jun – still my fave K actor LOL). I really really really love that one! Nothing beats a gentleman hero in a mask! Definitely Haha. I started out with J-dramas, so I think my first Korean (well memorable one anyway, though I pretty certain I’m leaving something out) one was Sungkyunkwan Scandal, so not too long ago but it has a fantastic love story, check it out if you haven’t already! Latimer and I loved it! Lots of fun sqwuee worthy moments in it! Tea, writing and reading are definitely my favorite things:) It’s good to find more like minds out in this world! I look forward to your adventures! Aww, you two sound like a delightful pair. Loved these introductions. Looking forward to reading more. I have to keep reading your work as I was so drawn to the stationery fetish comment. Since I was little, I have loved the September buying of pens and note books etc! I have a wonderful collection of note books too, don’t know if I will ever have time to fill them all! Oh I love notebooks, I’ll never use them all either, just collect them! Etsy.com is a fantastic place for a few unique ones!! Your post was lovely, I particular liked the picture of the lime and ginger cheesecake, it looked gorgeous, you must be a fantastic cook! R.
That’s lovely of you to say so. I’m cooking up a storm for a family reunion in July and I’m in my element! Cooking and notebooks = contentment! Hello, thanks for stopping by. As I post this my MP3 is charging, first tune, Addicted to Love by Flo and The Machine. Sophie is reclining on the couch, it’s dreadful hot and her normally sluggish nature drops down a gear. Will follow you. Stop by again. Brilliant! Thanks a million! I love Florence and the Machine- heading to see them play in the Phoenix Park (Dublin) in 2 weeks- can’t wait! You’ve great taste in music! Thank you so much Jeannette! What a truly lovely comment, we are very flattered! Hopefully one day when Physics allows we’ll break on through the all those parallel universes. Ridley’s practically swimming in stationary at this point, maybe one of the parallel her’s would be willing to take some off her hands! Hi Riba, thanks so much for popping by and your lovely words!! I loved all your pictures of Mexico, the buildings are so colourful! All the reds, yellows and purple! Very different to where we live! Very true, there is never an end point with improving your writing, your life or the art of being a decent human, they’re all ongoing!! I saw you hanging around my blog so I wanted to stop by to say hello and to thank you for following. I’m now you newest follower. We writers need to stick together, right!? And your blog is great, good writing tips and beautiful quills, what’s not to like! Why thank you! I’m glad you enjoyed the blog. Yes, non-writers scratch their heads over our word obsession. I have a feeling this wasn’t meant for me. Nope. Just little ol’ me. There are two on the blog you posted your comment on.That is why I think you meant the comment to go to them. Okay on the same page now, figuratively speaking. What a goofus (myself). and yes this was obvious meant for Latimer and Ridley. My most abject apologizes for the error to the three of you. You are sweet but no need to apologize. And Penny, my god what a comment, so complimentary, you had us blushing!! Thank you so much! See what I mean (I’ve had my coffee so this comment is in the right place now 🙂 )! Not only talented but really cool too! Thanks for the kind words, I’ve already checked out Robins and she mine. You’re right she’s a keeper! WELCOME! Thank you for subscribing to follow my blog. I hope you are encouraged, inspired and enjoy the photos I take of life and events as I journey through my retirement years. Welcome to you too! Looking forward to journeying with you! I’m so excited that you’ve decided to follow my site. So many sqwee moments reading your bios here! But maybe the most important is that my birthday is October 16. Perhaps, O Fairies, we were meant to burn together! Ah thanks Somesh (Lord of the Moon- absolutely love the meaning of your name!) Really lovely to meet you too! 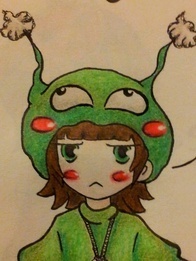 And it was me (Ridley) who happened to wander onto your blog! Just a little bit of sleuthing on the internet to find out 🙂 We love finding out the meanings behind names! I knew I’d heard the names Latimer and Ridley before, being a HUGE history geek, I think they are fabulous names to have picked. Although the questions of whether Latimer and Ridley were actually nice people is to be seen, since they were men who worked for Thomas Cromwell to find all the sins during the dissolution of the monastries. However their death was horrible and tragic. Yay! We’re delighted to have found someone else who knows who they are! History is also a love of mine (Ridley). For now, we’ll skip over the fact Latimer and Ridley may not have been the best peeps during their lives- we chose them because of their tragic story at the end! I’m glad to have made your day! Thanks a million!! I’ve missed by bus stop before because of a good book, the panic was unbelievable, but it was worth it just to read that one more page! Haha! I love the energy of your blog and two-writer posts 🙂 I’ve never come across anything like it, and it feels like I’m chatting away with girlfriends (over a cup of tea, or course)! I look forward to reading more of your posts~~ And thanks for visiting my blog, as well :)! How cool are you two?! I’m so pleased to “know” you both. Blogging is such a wonderful way to meet people from all over the world! I look forward to many exchanges!!! Thanks a million! I love that you think we’re cool, finally we have a bit of street cred!! Haha. 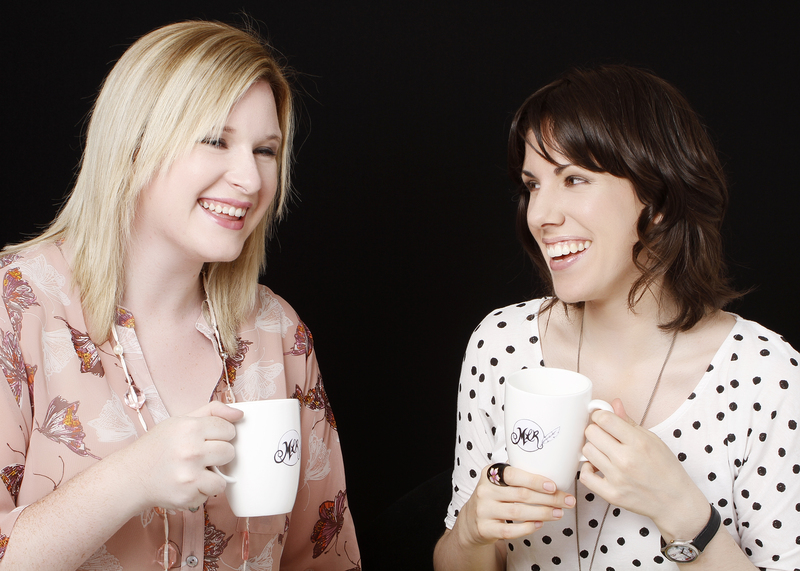 Blogging is a fantastic way to connect with people, we’re been having so much fun ‘meeting’ everyone! Oxford is my favourite place too. But I’m a coffee person. I like the odd coffee too, especially of a Sunday morning, nothing like the smell wafting through the house! You’re very welcome, it’s a great blog! What does Cadbury’s chocolate taste like? No, its made with full fresh milk, it’s creamy, smooth chocolate and sweet, but not overly so. Light, not heavy. Say with Hersheys, to me it’s kind of greasy and has a strange after taste. I had Cadbury’s that was made in one of their factories in Australia and it tasted slightly differently than what you get here. Supposedly it’s due to the milk used, as the taste of the milk depends on what the cows eat. Bit like how the flavour of honey changes due to the different flowers bees visit. What a dynamic pair you are. How wonderful that you are such good friends that you write stories together – writing is usually such a lonely business! And thanks a million for popping over and for calling us dynamic, never been called that before, we’re absolutely chuffed!! Thanks very much for popping over to visit us!! 😀 Really liked your blog, the story about the Yakshi was really great! I have nominated you for the Super Sweet Blogging Award. Congratulations. You two sound like the perfect duo~ I really admire your story and what you’re trying to do. I only just discovered your work on deviantart and I’ve read the prologue to Legend Unleashed. I’ll admit this and be upfront with you both – I’m hooked. I adore the fantasy genre and I could tell from reading your work that there is something very special about it – don’t ask me what because I can’t quite put my finger on it yet. I figure that once I am able to read more, I’ll discover what it is. Anyway, I ended up finding my way to your website and I am fascinated with your interests as writers. I’m a huge Juliet Marillier fan, so I’m sure you’ll know where I’m coming from when I say that storytelling is a gift. 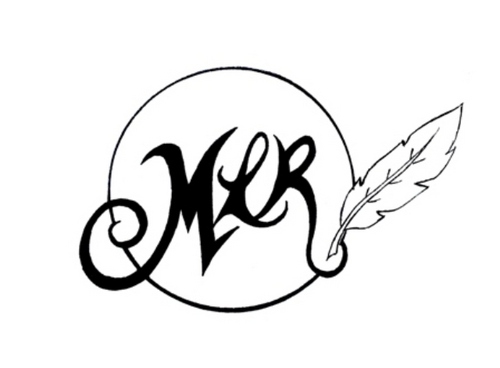 I’ve been eagerly hoping to find another author who would spark my interest and take me on a magical journey in the same fashion as Marillier. I believe I might have found the very thing I’ve been searching for! ^^ Thank you for sharing your gift for storytelling with us. Aw Sarah, thanks so much for your kind words!! You made our day with them! If you end up reading Legend Unleashed, do let us know what you think, we love feedback of all kinds, especially from a fellow fantasy genre lover, and a Juliet Marillier fan! 🙂 She’s such a brilliant storyteller, we know exactly what you mean! Her world and characters are expertly woven into captivating tales that are very hard to put down!